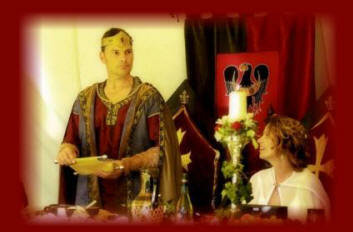 Lord Marcus and lady Elizabeth were definitely on a crusade to have their medieval themed wedding. After finding the perfect venue all they needed was help to put their special day together. And then they found the Kingdom of Fantaysia. Offering everything they could wish for they were ecstatic to have found Princess Valaria who would make their wedding day dreams a reality. 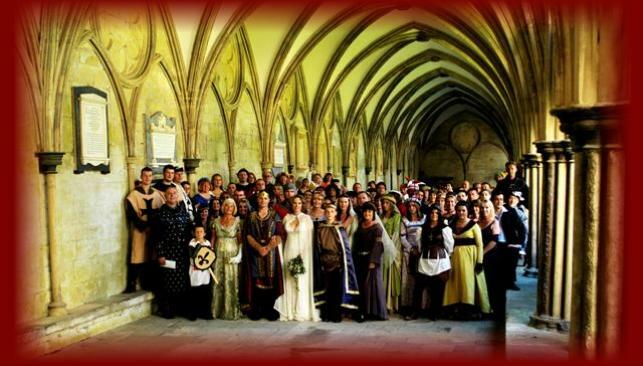 When their day finally came it was the hottest weekend of the year (seems to be a pattern here) which was amazing after all the floods the country had been experiencing, but the kingdom shone brightly as an amazing day unfolded for them, all their guests had gone to a lot of effort to dress for the occasion, They took thier vows in a medieval hall with men at arms and they had amazing pictures taken in the wonderful stone halls of Salisbury Cathedral. 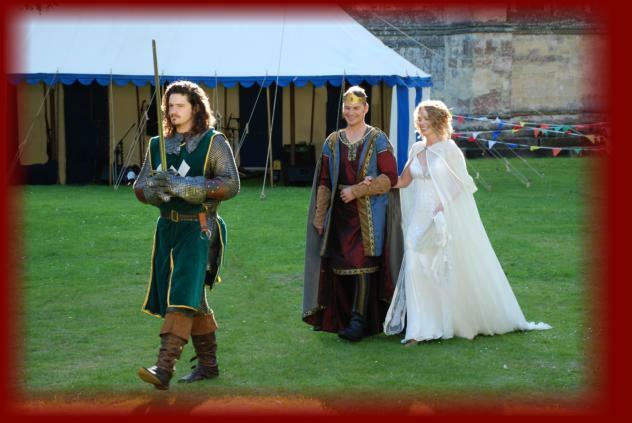 But of course good prevailed and Lord Marcus stood up to defend his brides honour but the mc stepped in and taught the budding Orlando Bloom a lesson by the sword and he was made to apologise for interrupting the nuptials. 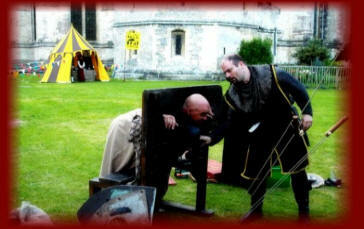 Guests were chosen at random and sent to stay in the stocks while they were taught a lesson for not asking Lord Marcus if they could leave the banquet to go to the toilet. As the sun shone down it was a perfect day in every way. As the banquet came to an end the guests were treated to Lady Elizabeth in the spot light singing in a 10 piece soul band she is part of, they played till the end of the night. 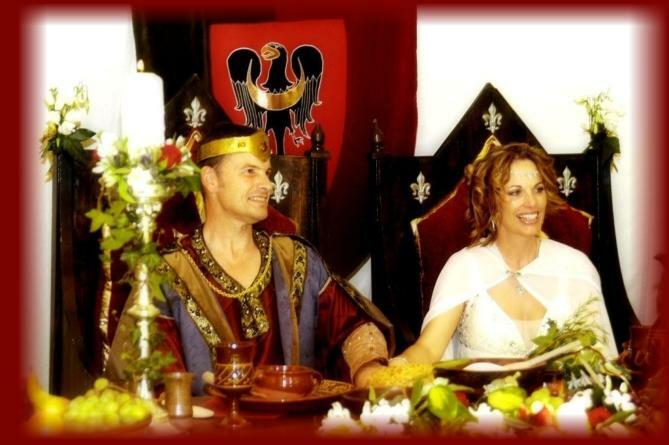 ''Lord Marcus and Lady Elizabeth trusted me to organise their day and everything went to plan the way it always does, I knew from the minute I met Marcus that it was a going to be a day to remember, a lovely couple and so appreciative of what we did for them. 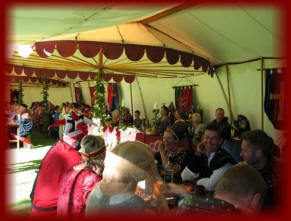 Dear Princess Valaria - Thank you and your team for such a fantastic day on the 4th August. We were amazed by the amount of detail that you went to reproduce an amazing looking banquet, I had seen images on your site which looked impressive but seeing the real thing was absolutely mind blowing! Many guest came up to after the banquet and said it was the best wedding they had ever been to. 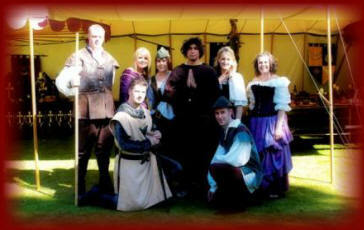 You and your team worked tirelessly to ensure that the day went smoothly and that all our needs were attended The entertainment was excellent the medieval mc a brilliant job . As for the Orlando Bloom lookalike that tried to steal my new wife - he caused quite a stir not only with her but the rest of the lady guests. All weddings are renowned for being quite stressful because of the amount of planning involved to ensure the event flows as smoothly as possible In my case there was no stress at all!! From the moment that I first contacted you right up to the end of the wedding any possible stress was taken away from me by you. You did a wonderful job.